There's honestly no way around it: Her Story is brilliant. It's poignant and impactful, honest and romantic, at turns funny and heartbreaking, and unendingly important. The more I think about it, the more I find myself thinking that "important" is one of the better words to describe a show today, so I don't use it flippantly. Orange is the New Black, with its large cast of women of different ethnicities, sexualities, and gender expression falls in this category as well. And that both of these shows are capable of getting their message across while still being wonderfully entertaining is a triumph. 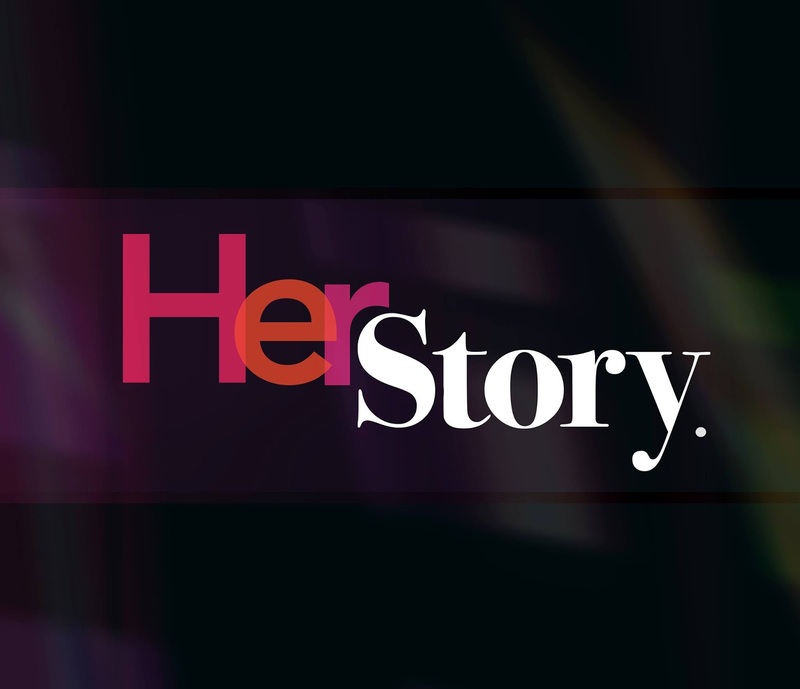 Her Story is a six-episode, new media, show (webseries?) that's up on YouTube as we speak. It's the first show in history that's about Transwomen and features Transwomen (and men) in every phase of its development, behind and in front of the camera. So it's groundbreaking in that way. But more than that, or to be more specific, in conjunction with that, it's a story about the dating and love lives of a section of the world that simply never gets any focus. It's not hard to find shows or movies about gay men meeting and falling in love. It's a little harder, though still not impossible, to find shows or movies about lesbian women meeting and falling in love. But trans people simply are not being given their due in storytelling. And so here we are, and thank God for that finally. These first six episodes (none of which is longer than 11 minutes and can easily be consumed in one sitting) follow Violet (played with charm and heart by the lovely Jen Richards) and Paige (the beautiful Angelica Ross) as they embark on two very different relationships. Violet doesn't consider herself to be gay, but when she's approached by Allie (Laura Zak) and asked if she'll contribute to a story Allie is hoping to write for the local gay paper, it's impossible to deny an attraction and an interest is sparked between them. Meanwhile, Paige has a meet cute with James (Christian Ochoa), and the two of them are quickly off on magical dates. On the one hand you've got Violet who has to confront certain ideas she holds about her own sexuality, but who is at least already out as trans to the person she's interested in. On the other, Paige has to seriously consider whether or not to tell James, or more specifically when to tell him. The way these two stories play out is a fun and beautiful study in nuanced storytelling. One of the show's greatest triumphs is it's ability to tell its story in quiet and simple terms without needing to baldly state it's position too often. At least, it does so with the two main romances. In other places, I think it could be argued that a more deft touch could have been longed for. One of Allie's friends is a lesbian named Lisa (Caroline Whitney Smith), and she's pretty horrible. To be fair, she's openly horrible from the start, and the first scene we see her in features Allie telling her in no uncertain terms that she's a bad person. But as the season goes on, we see that there's no real redeeming quality to her, and something about her always felt flat and caricatured to me. Lisa has a position, and indeed it's a position many people in the world have, but what's lacking in her is a reason for that position. In the show's defense, multiple episodes that barely hit the eight minute mark is hardly enough time to flush out each character as completely as I'm sure the writers would like. But in a story where we get to see so many characters brought to life so vividly, Lisa's flatness stands out all the more. No story can be told without a more utilitarian or functional character, but when some of the more important stories or conversations taking place within the show hinge on her position, this character serving as little more than a mouthpiece for the opposition feels lacking. But here's the thing, at the end of the day, that's pretty much all of the bad you can find in what is otherwise a brilliant story. So in it's first season, Her Story clearly finds itself in the plus column. The story is a winner, the writing is beautiful and moving, and the performances are truly amazing. In content like this, something not being backed by a major network or studio, the acting would easily be where you'd expect to be let down. But that's not the case here. Everyone is great, but I have to say Angelica Ross was a true standout for me. She portrays a power, inner strength, and resilience that you know was born of a difficult struggle to get to where she is, but there's also a vulnerability there that's all the more affecting because of those things. The scene of her and James' second date and the cheeseburger was beautiful and heartbreaking as much for what wasn't said as for what was. And the show's willingness to touch on the importance of her race and her class is really smart and important. She's an African American, transgendered, woman, who has worked to pull herself up into the upper class, but clearly wasn't always there. These are grand and important distinctions, and somehow Ross gets each of those things across effortlessly with just her looks and her bearings. It's brilliant! In short, go watch Her Story. It's roughly an hour long, and it can be found on YouTube, or on the show's site. Let's be honest, you could easily spend more than an hour on YouTube just watching videos of cute animals. Why not spend that time watching something interesting, intelligent, and important instead? The animals will still be there when you get done.